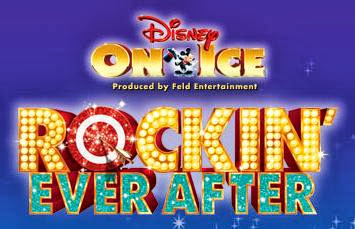 Being Frugal and Making It Work: Disney On Ice Presents Rockin’ Ever After - Skating into the the Spokane Arena from November 7th - 10th! All seats are reserved; tickets are available for purchase online at TicketsWest.com, charge by phone at 800-325-SEAT or in-person at the Spokane Arena Box Office. Be sure to check out the Disney on Ice tour schedule for a show near you! Disclaimer: The Being Frugal and Making it Work family will receive free tickets to attend the show in exchange for sharing this information and writing a review. All opinions are my own and no monetary compensation was received.